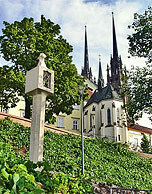 Brno is the second largest city of the Czech Republic (Prague is the first one) and the cultural and administrative centre of the South Moravian Region. 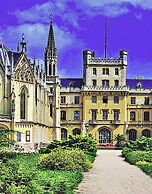 Brno has a thousand-year-old history and can offer services on the European level. It is a university town and a big part of its inhabitants can speak English, at least partly. See the official website of Brno city. Brno is not well discovered by tourists and you have therefore an opportunity to see a real life in the Czech Republic without crowds of tourists and overpriced services as it is usual in Prague. Brno has a beautiful historic centre with historic sights from the 11th century, a large number of Baroque and Renaissance buildings. The dominant feature of Brno is a stone promontory called Petrov and the gothic Cathedral of St. Peter and Paul which is built on it. 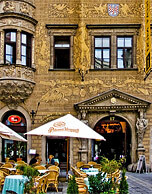 Brno offers plenty of opportunities of spending time pleasantly. You can savour the historic atmosphere of the Brno, taste the Czech beer and wine, go shopping, acquaint yourself with czech culture and enjoy the night life. Find all the services available in Brno, the second-largest city in the Czech Republic. All in English and absolutely comprehensive on traveling or living. Brno is a good starting point which gives you the opportunity to visit interesting places in the South Moravian Region (Czech Republic). Lot of them are inscribed on the UNESCO World Heritage List.